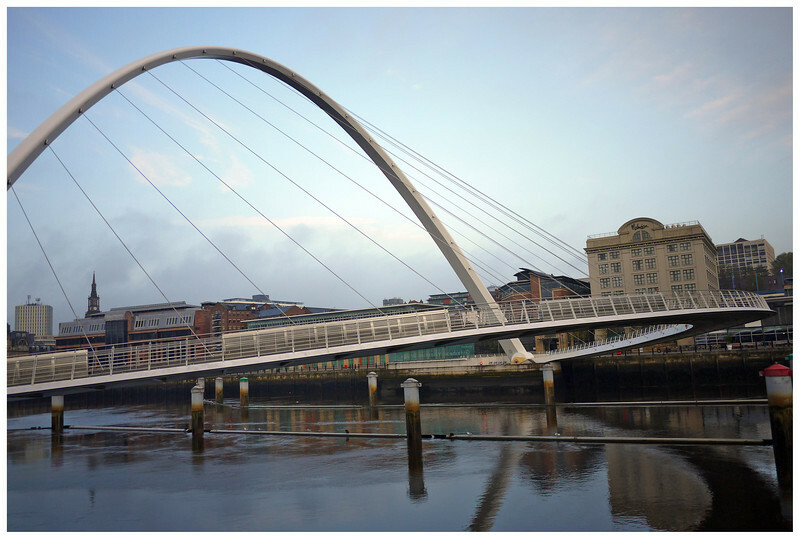 November 2011, and an early morning walk around the Gateshead Millennium Bridge, across and along the Newcastle quayside, across the Swing Bridge and up to St Mary's. Past The Sage and back past the Gateshead Millennium Bridge, past The Baltic Arts Building and back to the Jury Inn hotel. A nice walk.